From the winner of Bravo’s 2009 fashion design competition, “The Fashion Show”, comes the Lower East Side boutique, Annabelle. 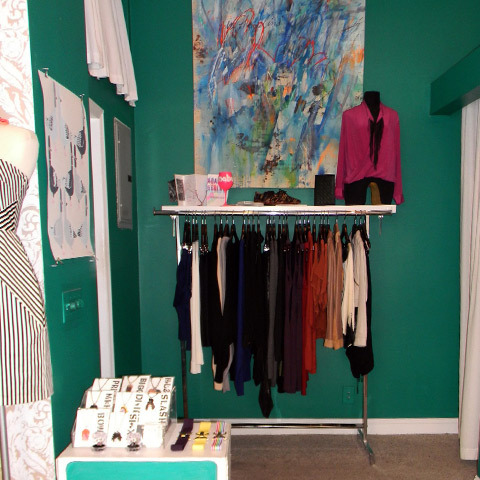 Anna McCraney’s trendy boutique is filled with bright and colorful contemporary clothing for the hip, discerning crowd. Working mostly in silk, McCraney has lined her walls with not only her own bold, locally made apparel, but she has also invited some of her artistic friends to bring in their brands of beautiful jewelry, wall art and more. With McCraney’s design foundation from Rhode Island School of Design, you know you’re getting quality clothing and accessories with every purchase.